Episode 46 – Schooled | No, YOU Tell It! Since our own Kelly Jean Fitzsimmons started No, YOU Tell It! six, WOW, yes, six years ago one of her favorite things has been going out to Fairleigh Dickinson University to switch-up stories with students, faculty, and alums from their Creative Writing MFA program. 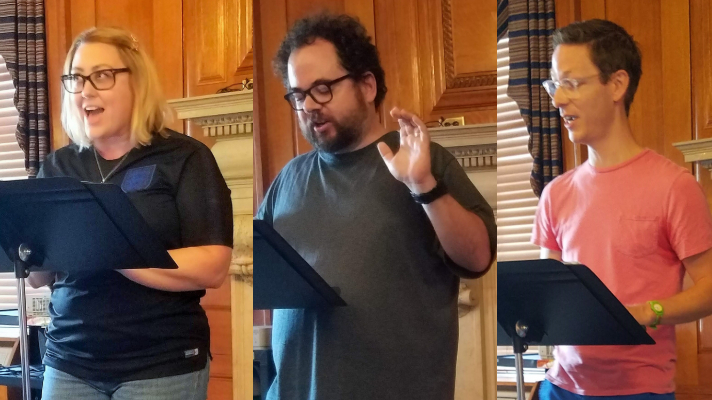 Stories were performed live on Sunday, August 5th, 2018 at FDU. Directed by Kelly Jean Fitzsimmons. Click here for more pics and to learn more about our switched-up storytellers.